STEUBENVILLE — Mike Holmes saw an opportunity to get back into coaching. After a long career and a few years off, he decided it was time to get back into the game. News traveled fast Wednesday that Holmes, the athletic director at Franciscan University of Steubenville, had been named the next boys basketball coach at Catholic Central. The Iowa native brings a lot of experience to the table, coaching basketball at the high school and college levels. He last coached at the University of Maine-Presque Isle for three seasons before joining Franciscan in March 2017. He was the athletic director at the University of Maine-Presque Isle. 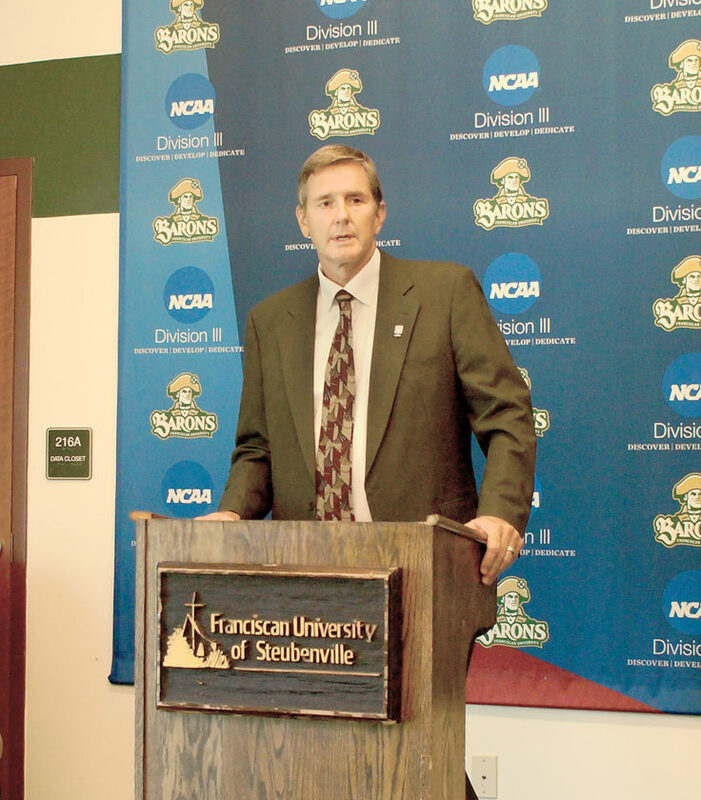 Prior to that, he coached at Southwestern Community College in Creston, Iowa, for six seasons. Holding multiple positions is nothing new to Holmes, given his background. “I have always had (multiple positions) from the start,” he said. “The last high school jobs that I had, I was an administrator and, long before that, a teacher. I have always been busy and this has always been a part of my duties. In Maine, prior to coming here, I was the athletic director and the men’s basketball coach. That is really what I have done throughout the years — to balance those things. Holmes coached high school basketball for 19 seasons in Iowa, starting in 1989, prior to beginning his college coaching career. Going back to the high school level is something he is excited about. “It is something I really look forward to.” he said of coaching high school again. “When I was coaching college, I can remember a conversation with my wife about missing the Friday nights, the smell of popcorn, the people turning out for their high school team. It is exciting and a good environment. That is something the kids remember. He also feels that coaching the Crusaders can help him get further acclimated to the Steubenville community. As far as being an NCAA Division III athletic director and a high school coach, Holmes had a very clear understanding of what the rules are. “It is more common than people think,” he said of holding positions at both levels. “It is very specific language. You can work at a high school and be an athletic director at a college, but you cannot use your position at the high school to recruit to your university. I have to handle (Central) players recruiting as if I did not work at Franciscan. I told the guys that. I am not going to talk about Franciscan with any of our players. 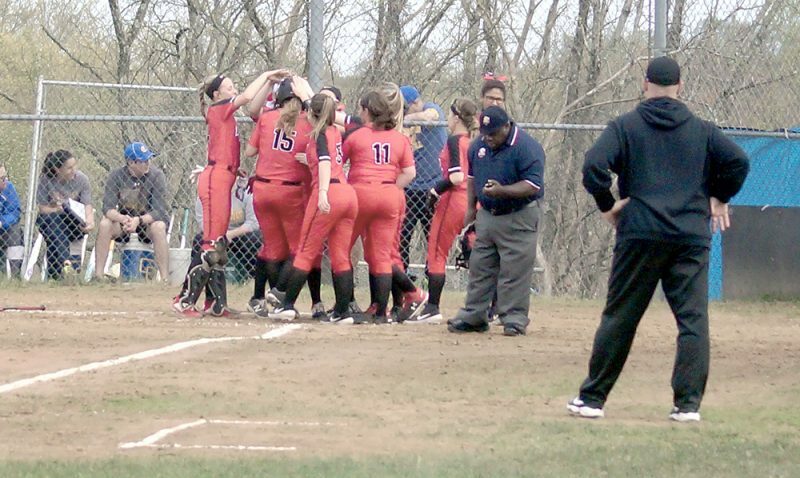 With Central parting ways with former coach Chris Tarquinio on Monday, the transition process has been a fast-developing one. “I’ve been on a total crash course,” Holmes said of learning the team in a short time. “I have met all the boys and all the parents. (Central Athletic Director) Vince (Oliver) works with me at Franciscan (as a track and field coach) and has been telling me a little about the culture. I have felt like I’ve never been away from coaching. “The guys are going to have a big adjustment. That is not saying anything positive or negative about anything before, but anytime you have a coaching change you have different ways of doing things. The reception Holmes has received so far has been positive. “It has been awesome,” he said. “This is always the easy part because you haven’t lost yet. I have had nothing but positive interactions so far. Anytime you have a change, there is negative reaction, positive reaction and indifferent reaction. That would be with anybody. That part has seemed balanced. He also has a clear vision of how he wants his Crusaders to play when they take the court about a month from now. “I told the parents it is going to be a little different,” Holmes said. “That is just because of the game that I teach. We are going to be a little more technical and methodical about things. I believe in possession of the ball. I want a lot of guys moving, cutting and screening. I want to be very tough on the defensive end, and those things kind of fit together. We will be pretty tough and grind a little bit.